Okay, so I was reaching for a good way to open this post, and I couldn’t find one, so I just went with Star Wars. Because reasons. Well, also because Percy was in a cell, and then soon after his escape he has quite possibly the most physically painful experience of his life. Worse than the feeling of jumping into a pit of boiling acid—times fifty? I know I’d want back in my cell. But I’m getting ahead of myself. To sum this one up, Percy is thrown in Hades’ dungeon, has a dream vision of Rachel on vacation (peaceful, if lonely) and Typhon wrecking up St. Louis, and then gets sprung by Nico, carried by Mrs. O’Leary to the Styx, has the titular worst bath ever, and then goes all Typhon on Hades’s retrieve-Percy task force. Speaking of that dungeon, Percy is tossed into an airtight cell with no windows or doors. I seem to recall a personality test that had just such a situation in it, and how you felt about that was how you were supposed to feel about death. Fitting, no? 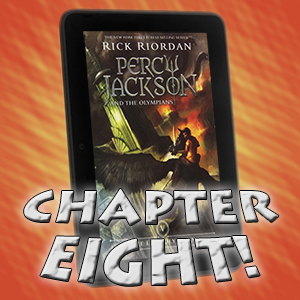 I’m not sure if that was intentional on Riordan’s part, but I like it either way. Of course, I was wrong in my prediction of Mrs. O’Leary being the one to break Percy out. (I’m giving myself half points for that since she did help out later, though. And you can’t stop me!) 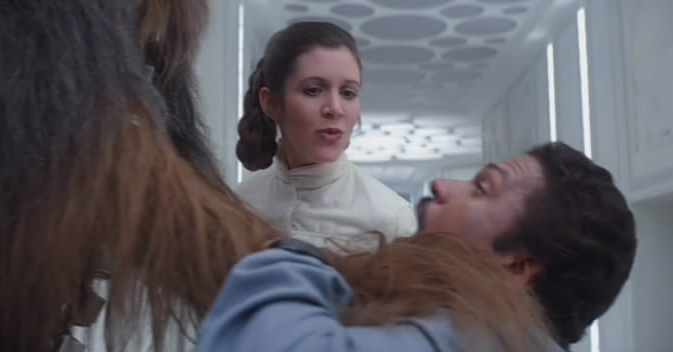 Instead, in a move that initially surprised me, it was Nico, who seems to have pulled a full-on Lando Calrissian. …Boy, I’m kind of on a Star Wars kick today, huh? Like Percy, I’m feeling a little more sympathetic to Nico than I was in the last post when his betrayal was so fresh. He’s, what, 11 years old? 12? Clearly way too young to have all of this stuff on his shoulders, as well as being on his own for as long as he has been. I’m likely a little more forgiving than Percy, but then I’m not in Percy’s shoes. Hmm. What are Luke’s failings, I wonder? This will surely play a part. What are Percy’s? Is he going to be even more impulsive and headstrong? (Though he has at least gotten hold of that in recent books, I suppose, but it’s the first thing that came to mind.) And hey, now I understand how Luke became a vessel for Kronos! “Be safe, brother!” Tyson pleaded. Perhaps I’ll soon find out, as Percy’s off to find Lukenos.